There are a number of Kickstarters coming to a head, all of gamer interest though only two are actually game products, one old and one new. First up is one I mentioned recently called "Combat Description Cards for Storytellers and GMs" by Conflict Roleplaying. This nifty project has had wonderful success and enters its final hours today already well funded. The name says it all but go check out the extras and see if you might want to jump in before it is over here. Next up, "The Dangers of Daggermore, a Fantasy RPG film" by Hal Burdick. This one struggled a bit but is funded and could use some gamer-love as it runs through its last few days. Have a look here. 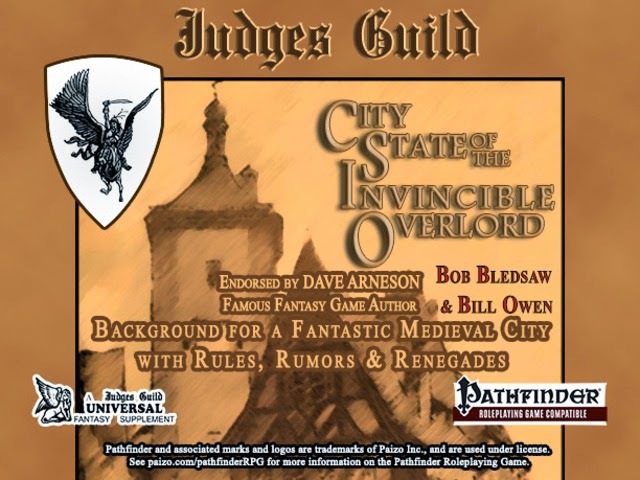 Also, and old favorite, "City State of the Invincible Overlord" by Judges Guild is getting a fresh coat of paint and is well worth your time and money to back. See more here. 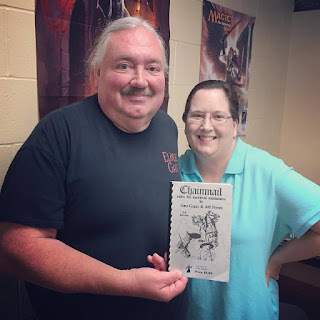 Finally, not a game but a beer project inspired by gaming called "Satyr Stein Homebrew" by Don Dehm, President of Pulp Gamer Media. The video is a fun watch and the project seems like a real winner too. Enjoy that right here!